Join us for a talk from Sandra Dallas. Author book signing immediately after the talk. Sandra Dallas is the best-selling author of The Patchwork Bride, Prayers for Sale, The Diary of Mattie Spenser and The Persian Pickle Club. 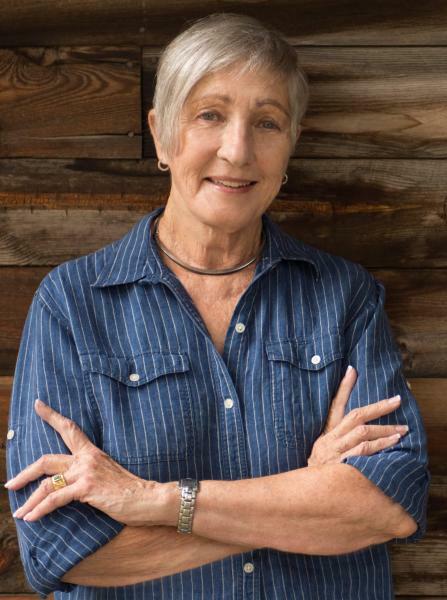 Since 1990, she has published fifteen novels for adults, four novels for young adults, and ten non-fiction books, and is also a four-time recipient of the Women Writing the West Willa Award, two-time winner of the National Cowboy Museum’s Wrangler Award and three-time winner of the Western Writers of America Spur Award. In addition to her fiction writing, Sandra has a degree in journalism from the University of Denver and has previously worked as a journalist with Business Week for 25 years, covering the Rocky Mountain region and even serving as their first female bureau chief. Sandra lives in Denver and Georgetown, Colorado with her husband.